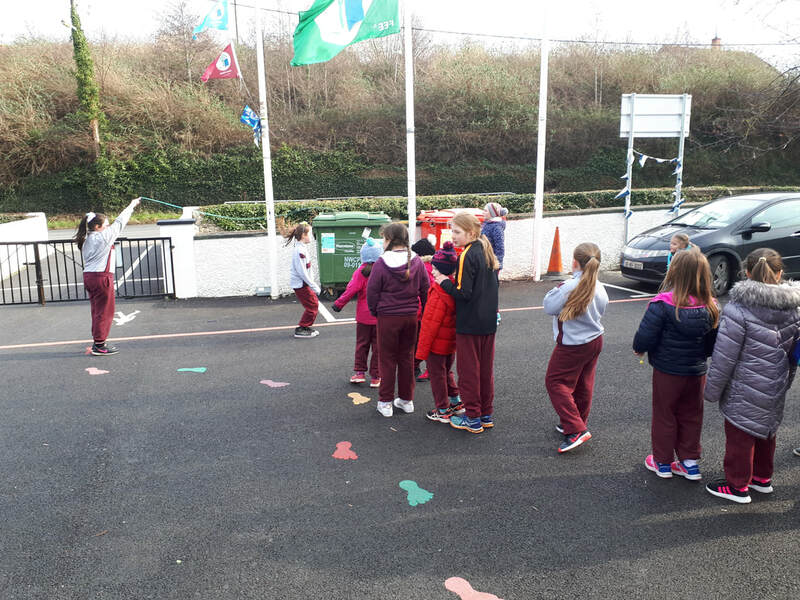 We continue to keep up our Physical fitness. 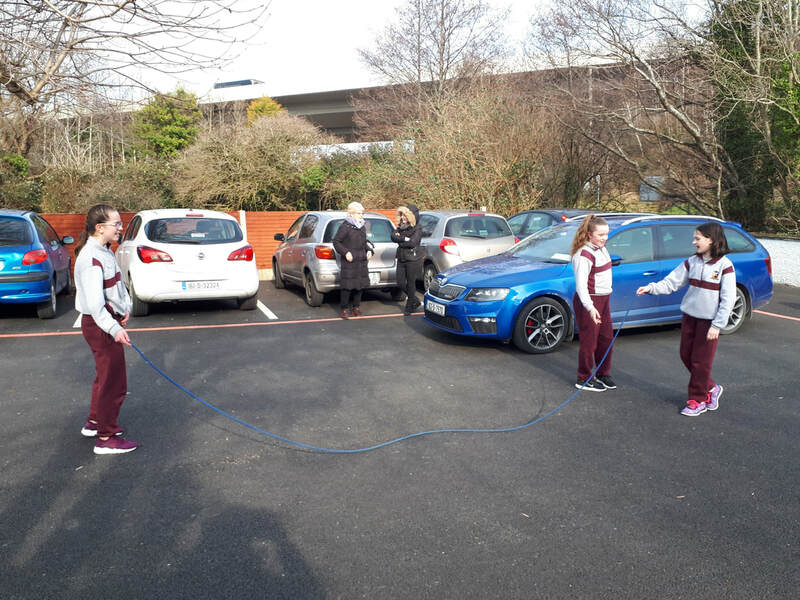 We are participating in the Operation Transformation 10 @ 10 and so we try to have ten minutes of a movement break throughout the day. On P.E. 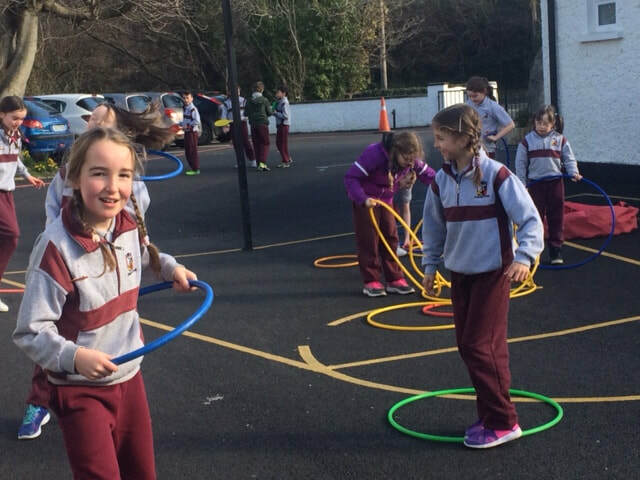 days we do lots of activities such as Station teaching, GAA, Irish dancing, basketball. Our Active Committee are keeping us fit with our Active Lines. Check out some photos of Station activities on the third and fourth class page, and on the Junior and Senior Infant page. We like to keep active on the yard during our breaks. 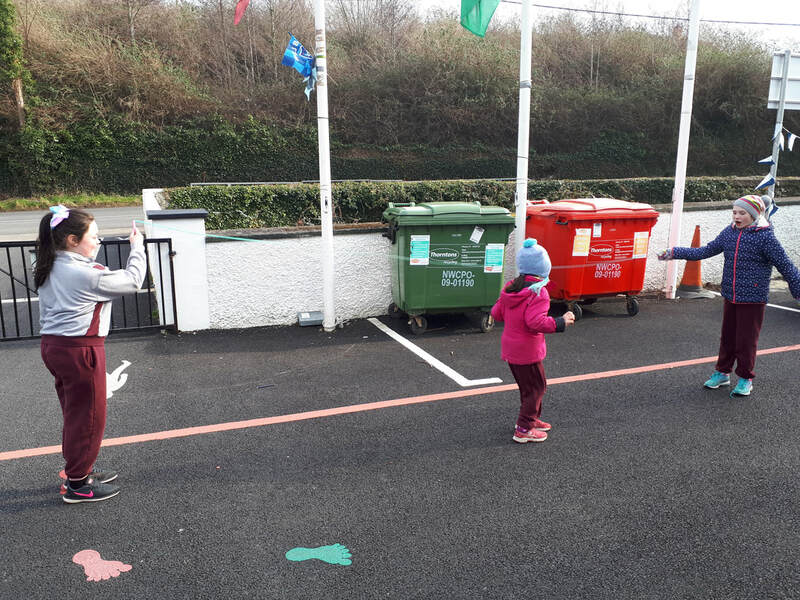 If we're having a chat, our motto is: "Do your talking as you're walking!" 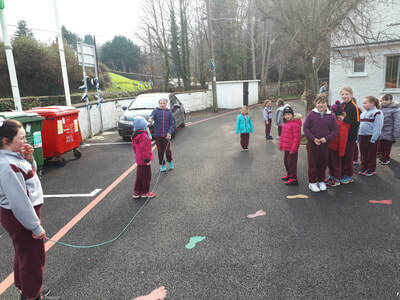 We have a rota for the use of a football and skipping rope each day so all the classes get a turn. 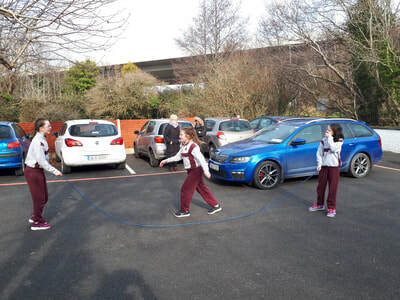 The Sixth Class pupils are really helpful and love involving the younger students on the skipping rope!